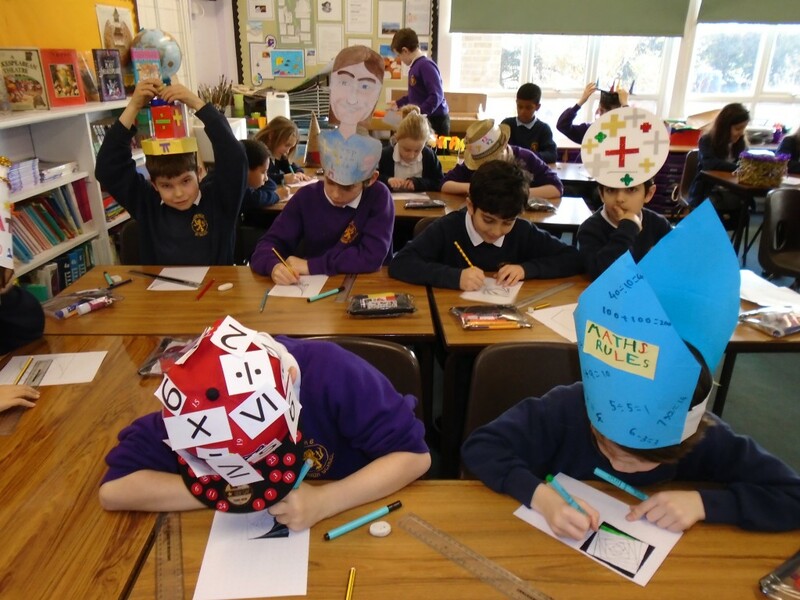 At Cumnor C.E Primary School we aim to develop independent and ambitious mathematicians. On World Maths Day we did lots of maths wearing our personally designed ‘Maths Hats’. Our maths curriculum is broad and balanced. It includes all aspects of mathematics – number, calculation, fractions, measure, geometry, statistics and algebra. Our daily maths lessons begin with an engaging starter activity focused on calculation skills. Our approach to teaching mental and written calculation strategies is consistent across the School and allows all pupils to gain confidence and skill at their own level. Pupils participate in a wide range of learning experiences that include the use of ICT, practical work, investigations and games. We encourage the use of informal jottings and drawings as well as more formal written calculations where appropriate. Problem solving is a vital part of mathematics and each week we dedicate time to developing problem solving skills. Over the last few years we have enhanced our curriculum with mathematical themed events such as a whole School problem solving maths day and an ‘Enterprise week’. Each year our most able mathematicians in Years 4,5 and 6 have the opportunity to take part in Primary Maths Challenges such as those held at St Edward’s and Summer fields School. We always look for opportunities to develop key mathematical skills across the wider curriculum. We want our children to achieve highly and most of all we want pupils to enjoy mathematics, both as a tool for problem solving and for its own sake.